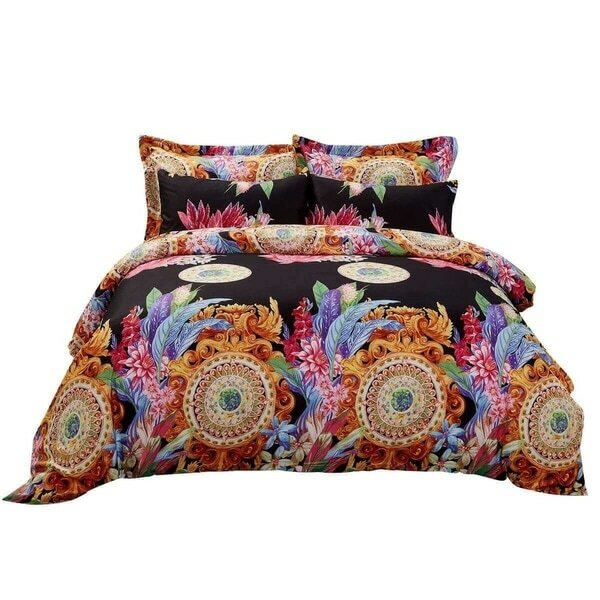 Bring a whole new look to your bedroom with this vibrant Ecstasy design. Designed for exceptional softness and comfort with Polyester Microfiber & Cotton. 2 Pillowcases 20 x 30. Dimensions 82.0 In. X 78.0 In. X 16.0 In.